FARM: Prices are holding steady – now’s the time to sell! Steady prices indicate a healthy market. 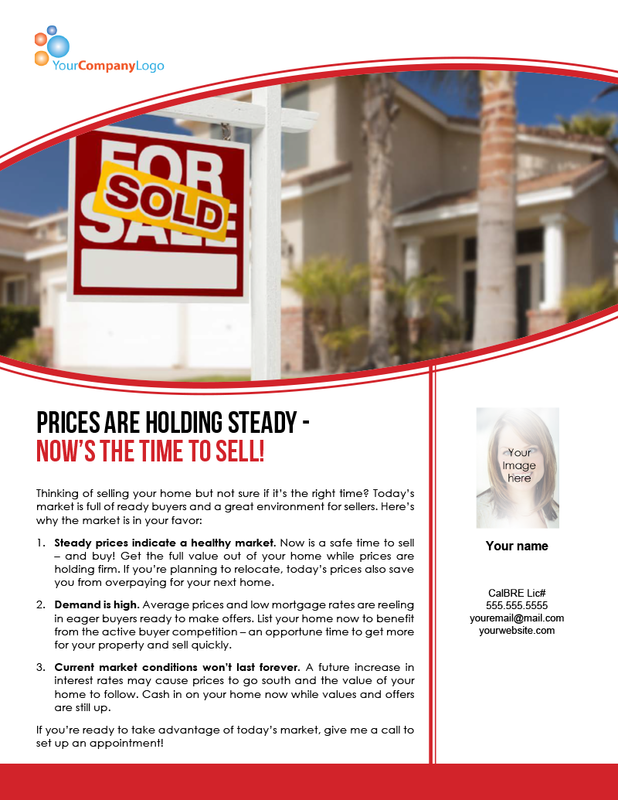 Now is a safe time to sell – and buy! Get the full value out of your home while prices are holding firm. If you’re planning to relocate, today’s prices also save you from overpaying for your next home. Demand is high. Average prices and low mortgage rates are reeling in eager buyers ready to make offers. List your home now to benefit from the active buyer competition – an opportune time to get more for your property and sell quickly. 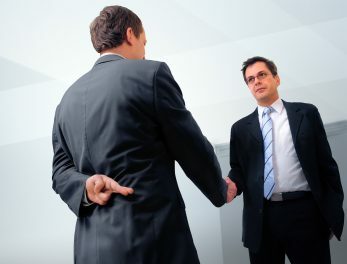 Current market conditions won’t last forever. A future increase in interest rates may cause prices to go south and the value of your home to follow. Cash in on your home now while values and offers are still up. 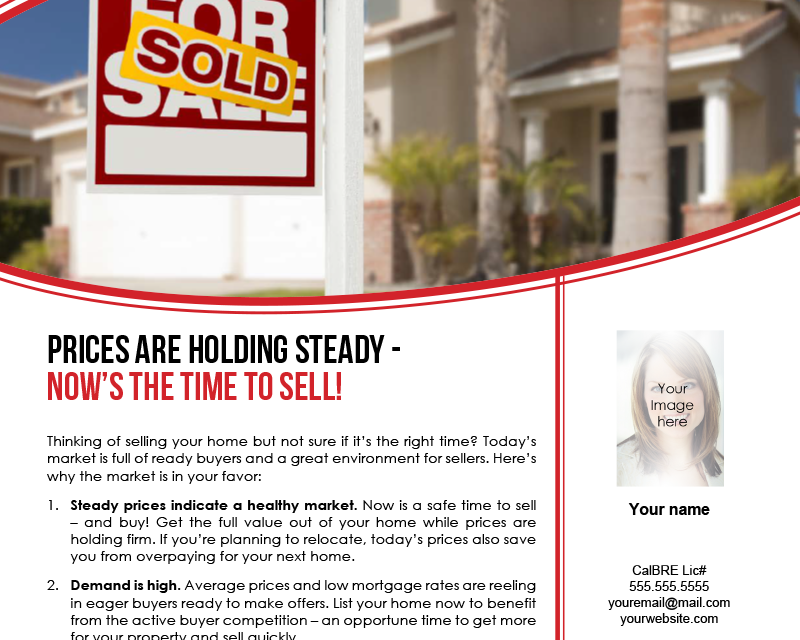 If you’re ready to take advantage of today’s market, give me a call to set up an appointment!